Enjoy comfort, style, and convenience with this micro-adjusting ratcheting belt. This belt looks like the As Seen on TV Comfort Click belt! You'll notice that instead of traditional holes, it utilizes a revolutionary ratcheting system to get the perfect fit. You can trim the length to the perfect fit (waists 22in to 44in) and then slide the belt to adjust in 1/4in measurements for comfortable fit. It tightens with a gentle pull, and releases by lifting the front of the buckle. Adjust on the fly while standing up, sitting, after a meal, or after losing weight. There's 32 different positions to get a completely customized fit for you! The belt is made of classic attractive leatherette material with a solid brushed metal buckle to compliment any attire. 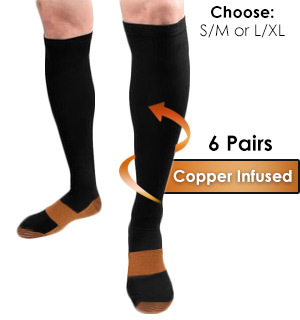 It comes in your choice of black or brown to fit any attire. Note: Packaging may be different as shown in the video. Could not be happier. I bought a black one and brown one a few weeks ago. Several friends saw them and wanted one so I bought these for them. All love them. Belt Tracks Work Better Than Belt Holes! Easy to custom fit the hole-less belt. The belts track positions hold the belt firmly in place. The leather is a little slick against the pants, however, not much of a problem. I loved my belts so much I told friends about them. I just ordered 2 more black ones and 2 brown ones for them. Excellent belt fits and looks great on me. Never would have thought about a belt with no holes or needing to add more. Good item at a valuable price. I love this belt. It is good looking and easy to use. I would like to buy another one because I cut it off too short and I have no room to grow. In the past, Ive always had problems with the outside surface of the belt wearing out, and the belt holes expanding and tearing from wear. Not with this belt! The design of this belt eliminates both of those problems - at least in the past few months that I have owned it. So far, I love it! My only concern going forward, is if the leather grooves will start wearing out over time. These belts really work. I bought them on a whim not sure they would work. After I put it together and put it on I found the belt did what they were designed to do. I will buy more soon. It fitted me and I am a 42 waist and works great. I have 5 belts but find myself almost exclusively using this one since I purchased it. Same quality as the one As Seen on TV but a better price. One of the best things Ive ever purchased. I really like the simplicity of the ratchet design that comes in handy throughout the day. Try one...you wont be disappointed. Really like the belt, fits of course and easy to use. Love this belt. I bought four of these belts and gave two of them as gifts and everyone loved them. I have tried many belts and I got to say this belt cannot be beat. I ordered a spare black and a brown a week after I bought the first black..
Do not try and make it smaller I did now doest reach the ratchet would had been great have a warning out this. Have trouble with regular belts, but this one does the trick! I like the belt but wear them out relatively quick. It is the only belt that holds my pants up without having to constantly pull them up. The belt doesn’t stretch like a regular belt and buckle. My problem with this belt is, I pull it tight and must be pulling to tight because after a month or so the ratchet teeth start to rip out. My husband loved the convenience and fit of the belt so much, I started buying them for other family members for gifts...so reasonably priced and made well. My husband loves this belt. He asked to have one of each color so he can wear it all the time. My 25-yr-old son gained a lot of weight and is now working to lose it, so this belt fits his shrinking belly perfectly! He loves it. 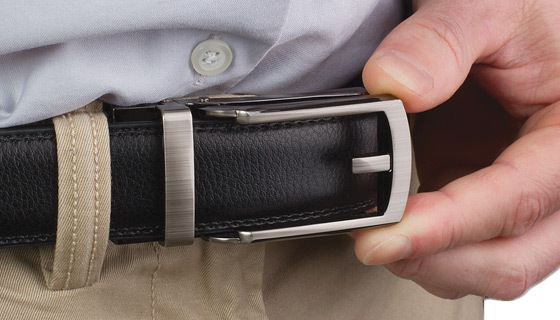 Allows custom adjustments of your belt for those times your comfort zone falls between the holes in your belt. Good quality and value. I like belts but ordered brown. Shipper said brown but belt was black. I will still order a brown one if I know it will come brown. Now I have three black ones. I do like the belts. No-Hole Ratcheting Belt - Works! It works exactly as advertised - and easy. 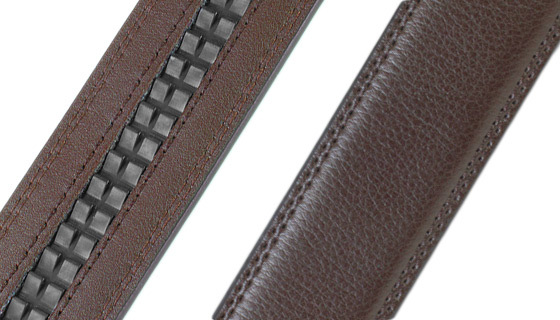 The zipper-type closure on this belt is the greatest invention. Fully adjustable and comfortable, I just bought two more! I recommend it to everyone who will listen. The Perfect Fit No-Hole Ratcheting Belt is a high quality, great working belt for men. When cut to size, it adjusts perfectly without holes. I have both the black and brown belts. Very handsome belts. Good for gifts as well. This is a great item. I am very pleased. I bought two. I am very pleased with both. This belt is fabulous ! Very easy to release buckle. Shortening the length is very easy just follow the instructions. Just purchaes four more to give as gifts. This ratcheting belt is exactly as advertised. 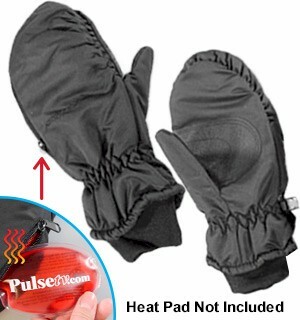 Very easy to tighten and loosen. I recommend the belt, as I find that I do not have to do anything for adjustment other than slide the buckle to the desired position... The adjustment is in small degrees, NOT LIKE the standard buckle with holes further apart and you have to unhook the belt to adjust it.. I purchased a Black one and a Brown one. These belts are the best! Super easy to use and adjust and they look great. I’m hooked!! Kind of hard to get it to work.Nice craftsmanship. Love this belt. Great invention!! This is great. Easy to use and great fit. The belts are wonderful but they do not fit a size 44 that I am. They are supposed to be for 44-inch waist but it was short because the notches were so far back. Im disappointed because it cost me $5 to have them shipped it cost me almost $11 to return them so its quite a loss to me and Im very concerned its the first thing Ive ever purchased from you there was a problem. Fantastic, but with daily use belt starts to crack. Fantastic belt, so easy to be able to tighten or loosen it whenever needed. Only one minus point: I bought some earlier this year, and after some months of use the belt material starts to show cracks. Thats why I bought 4 extra belts to have reserves. I am extremely satisfied with the no-hole ratcheting belt. Use it EVERY day! I love this thing. My weight is constantly fluctuating and this belt adjusts with me. Amazing can adjust perfectly. Great quality and looks. I had been looking for a new belt at the local department stores and couldnt find anything that had style and in my size. Well the Racheting Belt was just perfect with nice style and perfect fit. Ive always wondered about these belts. The Pulse price was right so I decided...what the hey! Got the belt in black and brown. Love the quality and, most of all, love the fit! Havent used any other belt since receiving this. So good that I bought three more. I really like the belt. It tightens and loosens very easily. You do not have to fight with buckle wholes. One night I ate everything I looked at and I was so happy to be able to loosen the belt without unbuckling it! Then I continued eating! Lol I really love this belt!! I will definitely purchase another one...maybe more! I looked for awhile before buying. I am very happy with my purchase. The belt is high quality; itâ€™s easy to use, comfortable and stylish for all occasions. I will be purchasing another one as a back-up. I bought two belts, one for my husband and one for a friend. We cannot figure out how to put the belt together. This belt is not for any man that is challenged in putting things together. Waste of money. Sorry I ever bought them. Even the directions are very poor. Hi Sara... so sorry about the issue. Please watch our video above and maybe it will help. We also have instructions on our site you can look at. This belt is a hands down winner. I own two and may purchase a third. Easy to use, always fits and still look like new! I love this belt! So easy to adjust! I have three of these and the price is great! Love the belts the only thing is one size doesn’t fit all they are really big. We love these belts - the inside ratcheting keeps the front side from messing up, and looking tacky! Perfect fit and affordaable. Excellent product. Have purchased a good number of things from you but was disappointed here. Said it went to 44w. I have been wearing britches with 44 waist for years. This belt doesnt start ratcheting until you get to about a 40 waist. So I have 2 new belts hanging in my closet that I cant use. Belt to be better , needs the ratchets closer to the tip of the belt...It would be more useful , in that the fit of the belt would be better......I luv , that there is no hole to use....otherwise it works good. I really love the way it fits and how easy it is to adjust as the day goes on. What a great looking belt! This belt looks much more expensive than it is. The belt is very easy to trim to fit and is also very easy to adjust while wearing it throughout the day. I bought a brown belt and a black belt. I am extremely pleased with both of them. Perfect! Just as advertised and looks really great! These are great belts especially for me as Im a paraplegic with limited hand functions. The only complaint I have is I had ordered 2, one black and 1 brown, and the brown as I see it is almost black therefore I really didnt need to purchase the brown one, I guess thats the price we pay when buying something online without seeing it in person. Other than that the product works great. I bought 2 of them , a black and a brown. Ive been wanting to get them for a couple of years now but always decided to be patient and wait for the price to come down. I waited and sure enough the price came down. Great belts. Bought 2 as gifts and the men LOVE this belt. GREAT product quality & price...cant be beat anywhere! I bought two and liked them and so I bought two more. The perfect belt for all occasions. Ya gotta have one of these! This belt ROCKS!! Best belt I have ever owned... bar none!! I received my new belt an it does surpass my expectations. I am waiting for you to offer the same belt in BROWN so that I can order that ASAP. I await your notification. Thank You!! Even though it took a while for the belt to be delivered, it was worth the wait. My wife ended up taking it because she liked it so much :! I purchased both the brown and black No-Hole Ratcheting Belts. They were very easy to cut to size based on the accompanying instructions. The belts look sharp and the ratcheting mechanism works perfectly. The belts I got were nice looking, and were sturdy in construction. The buckle was easy to use and the ratchets worked great. Be careful if you trim the belt, cut less than you think you need to. I purchased both the black and brown Ratcheting Belts. Not being too sure if they would be as promised, I am pleased to report that I have been very pleased with my purchase and would strongly recommend these Perfect Fit No-Hole Ratcheting Belts to others. I received both he black and brown ratchet belts. I followed the easy to understand instructions for cutting the belt to size and the rest was easy. Both belts fit perfectly. The ratchet mechanism works perfectly. Very pleased with my new belts Good fit and they look good! Never ever had a belt that I could adjust to fit exactly correct to my waist size!!! My husband is very happy with his belts. No matter what size he needs for the day or month, he will be comfortable! 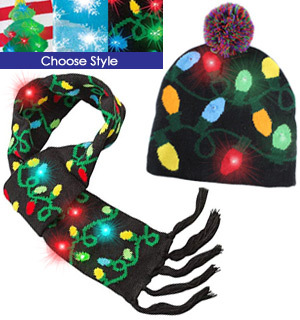 They are nicely designed, and he would like one in white for the summer! I had purchased one of these previously and think it is great. No more belt holes that are too far apart. Paid exactly for one belt what I just paid for two. This is by far the best belt that I have ever purchased in my life. I already had the black one and purchased the brown one from you! Like these belts a lot!! I was tired of having to replace my belts till this little cridder showed up. Stocked up on four of them. Hope not to have to spend money on belts for quite awhile. The latch clasp mechanism didnt stay closed. Everytime I bent down it lost its grip on the belt and no I dont have a large gut just in case you were thinking that was the problem. I already sent both belts back. These belts work as advertised, without fuss or bother. Easily adjustable tighten or loosen. Good looking belt and buckle and so easy to cut to size. Love it. belts are great and the price was very good. Couldnt get a better deal. I believe the headline just about says it all. I would add that the belt can easily be used no matter which way you install it...right to left or left to right. The catch release works great and is flawless, at least after only two weeks use. Durability remains to be seen, but I expect it will hold up nicely...the leather is nicely thick and the buckle seems to be fairly robust. Im quite satisfied with both the black and brown versions. Terrific belt that will last a lot longer then those others. No holes and the best is that it is adjustable to very little changes. In other words, you dont have to settle with the holes that come with your average belt. This one offers many more adjustment settings. It you gain/loose weight, you can still use the same belt!! Awesome!! So Good I Bought 2 More No-Hole Ratcheting Belts! 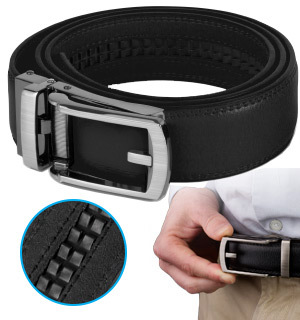 When youve lost weight as I have, this belt is invaluable to keep your pants from falling down! It works like a champ! I love this belt. It is so easy to put on and take off. And, it looks great. Same belt As seen on TV for $20. Even with the shipping, this belt is less expensive. This is the future of belts. Not one setting per inch, but six. No wear on the belt because its not being bent when you tighten it. My Husband and my sons Love this belt. Wonderful price. The belt is well made and attractive. Sizing it could not have been easier. It works very well as promised. 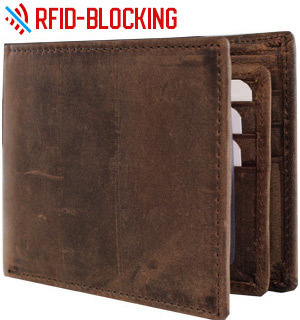 It is a very cheap product that beats the overpriced similar belts in the market. Easy to trim for a great fit and much more comfortable than a conventional belt with holes that stretch and cause a belt to crease and weaken over time. So glad I found this item! Tired of belts being too tight or too loose. I suspect that the belt will last longer than traditional belts since you dont bend it to buckle and there are no holes,meaning no stress on the holes! I like the belts but they come apart at times. That said I ordered 1brown and 1black belt but was sent 2black belts. This isnt the first time I have had trouble with an order. I really like the almost infinite choices for how tight to make my belt-- it adjusts for different thickness in the pants- dress to jeans and the same for shirts- dress to flannel. The only downside is the belt is pretty narrow: great for dress but not for jeans. All in all, great item. works good easy to use very happy with it. Great product! I doubt I will ever purchase a regular type belt again. This belt is perfect since it allows you to adjust its tightness in smaller increments than regular belts. Simple to adjust. Great after eating a big Thanksgiving dinner! This belt is the perfect thing for my expanding and contracting waistline. It stretches when Im bigger and contracts when Im slimmer. It ALWAYS fits. I love it. BOUGHT ONE OF EACH COLOR, CUT A FEW INCHES OFF AND NOW I HAVE BELTS THAT FIT WELL. GREAT VALUE. HOPE THEY LAST. Easy to set up to your size.Pretty good price also and quick delivery. Fast easy service and delivery. I bought both brown and black models. I would like to see this type of belt 1/2 wider. Other than that, I like the belts. My husband loves this belt! He never wants any other kind of belt ever again. Its a perfect fit every time. These new ratcheting belts are the most comfortable belts that Ive ever owned. Hope that they hold up over time. Wish that there were more colors and styles. Disappointed to see it does not come larger than 44. we will have to return. Size not mentioned in ad. Thank you for your review! I'm sorry to hear the belt did not work out for you. The Belt fits waists 22in-44in, and is 1.25in wide. 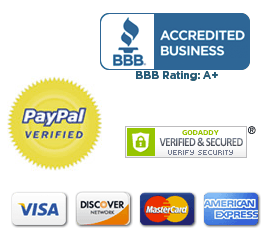 These measurements are listed under the Features and Benefits within our ad. I hope this information helps! Just received my Perfect Fit No-Hole Ratcheting Belt and I can say this is one of the best items I have ever purchased. When I sit down I can loosen the belt by just lifting the buckle, and when I stand up, a tug at the pointed end of the belt will tighten the belt once again for me. Its a great feeling to have a looser belt while sitting and to be able to tighten it so easily when standing. Thank you PulseTV for offering this. I am so glad I purchased two of them!